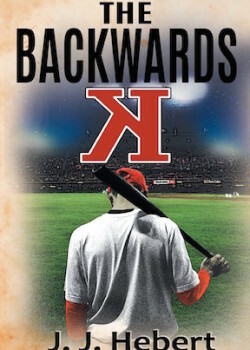 Bestselling author J. J. Hebert brings to the reader in his exciting new book a glimpse into the world of the professional baseball player. Jet Brine is loved by all Sox fans until one fateful day when he scores a Backwards K. But will he let that one score define him forever? Fame, stardom, the adoration of the crowd, that’s the stuff dreams are made of. After years of training and working hard to reach the pinnacle of your career in sport, it is your right, your destiny. However to be the best calls for sacrifice, not only the personal sacrifice which is needed for training and fitness, but the sacrifice of your family as they take second place, everything centres around you, what you want, and what you need to do. Big houses, smart cars, money and notoriety come at a very high price, are they really worth it? This is the question Jet asks himself years later as he looks back over the past, and remembers his neglect of his beautiful wife Janice, and his disinterest in his son Jay. They say you have to reach rock bottom to rise up again, and Jet is at this stage when he realises life must change, and that he cannot continue existing in a one room apartment, making money from memorabilia, then spending it on gambling and booze. He courageously decides to get a proper job, and from that point on his life changes immeasurably when he meets and falls in love with Linda, and through her love discovers his inner faith and strength. This is a story of incredible bravery, not the climbing mountains and jumping out of planes type of bravery, but the sort that has to come from within. Through the ingenious storytelling of this talented author we follow Jet’s journey through this very hard period of his life. We discover the realities and consequences which come from a professional career in sport, and as he starkly remembers his failings, struggles to come to terms with his past, battles his demons and asks forgiveness from those he has wronged, the man beneath the persona is revealed. Jet’s journey is difficult and it contains many twists and turns, but it is a journey many may be able to relate to in parts, and one which contains a myriad of emotions, including love, hate, fear, regret and heartbreak.